He's so f*cking handsome but no one really talks about him..
1. [+36][-1] Ah.. He's indeed very handsome..
2. [+32][-1] His skin, eyebrows, nose, eyes..ㅠㅠ I just like everything about him..
3. [+23][-2] He's really handsome.. He has the perfect T-Zone, nose, jaw line, and eyes. The difference he makes in every concept that Got7 does is just so amazing. Anyway, he's totally my type. 5. [+11][-0] I agree.. He's a trendy man who has a very beautiful eye smile, totally my type..
6. [+10][-0] He looks beautiful when he smiles..ㅠㅠ Look at how he quickly becomes a puppy in a matter of second..
7. [+9][-0] He looks chic when he stays still, but he has a very charming eye smile when he smiles..
8. 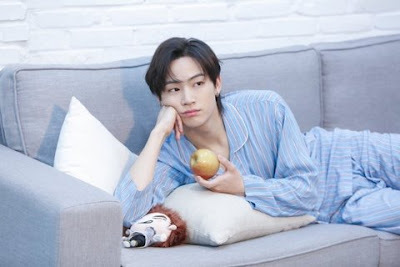 [+9][-0] He's not just your typical handsome, he has a very charming looks in him. I have seen him on person, he had no make up at that time but his skin looked very beautiful and that took me by surprise..
9. [+8][-0] He's very talented. He's not my bias in the group, but I watch his fancams the most compared to the other members in Got7..